Birmingham, AL. Yellowhammer News has recognized Maynard Cooper’s Edward O’Neal as one of the next generation of Alabama leaders who are poised to wield power and influence in the state in its 2018 Power & Influence 50 list. The list is an annual selection of the most powerful and influential leaders in Alabama politics, business, and state government. 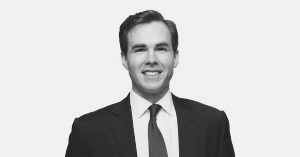 Edward is an Associate with the firm with significant experience as a legal consultant to political campaigns in Alabama and has developed a particular expertise in both state and federal campaign finance laws. He also advises clients on the development of effective internal compliance programs relating to trade, ethics, and political activity.